Hello, friends! Let me first preface this post by saying this is purely my opinion and not everyone is going to agree with what I’ve written here. Within the last few months I’ve seen a dramatic increase of snarky comments and stabs at people on Instagram as well as a few blogs that I follow. It’s bad enough that sometimes the vegan “label” gets a bad rap, but now it’s being taken to a whole new level. When I first made the leap to veganism, eight years ago, I only knew of one kind of vegan and it meant being kind to all creatures (humans and four-legged friends) and living as cruelty-free as possible. Today there are, what seems to be, a million different varieties. The health-conscious, ethical, high carb, low-fat, junk food/”fat” vegan, raw, raw till 4, whole food plant-based, oil-free….you get the idea; the list could go on. Now, the comments I’ve been seeing aren’t necessarily coming from just meat eaters – there are nasty comments from those against the vegan lifestyle, but I’m talking about the ones coming from fellow vegans. It’s as if the different “kinds” of vegans are competing with one another as to whose lifestyle is best. A few weeks ago, I actually had someone comment on one of my posts telling me how fattening peanut butter and nut butters are and that HCLF (high carb low-fat) is the best diet – she even went so far as to say that I needed to watch my consumption. Apparently this person had it in her head that I live off the stuff. Needless to say, I deleted her comment because I don’t like to have negativity littering my page. That is just one example. I’ve seen awful comments and opinions being thrown about – everything to attacking the brand of bananas someone bought to using a carton of non-dairy milk as opposed to homemade. Wow. What if the person you’re “attacking” just had the worst day and that bowl of ice cream made things a little better…that is, until a cruel comment ruins it all. What if that person is a mom who is barely holding on – sleep deprived, mentally and emotionally drained and using store bought is what gets her by? Which, by the way, we use our fair share of store bought products. We personally have a child who requires our undivided attention most days (which I actually LOVE) and I’ll be honest, I’m lucky if I can use the bathroom by myself, let alone cook a fully homemade, everything from scratch, meal. My husband works 50+ hours a week and works as late as 11pm, so sometimes our meals are a quick bowl of noodles and sauce. I shed some light on this matter in a recent Instagram post, but I would really like to elaborate more here. Now unless you’re actually living with the person or see them on a pretty regular basis, you DON’T really know the people you’re following on Instagram. Posts on IG show a snippet of what they’ve eaten or how they live. ONE photo does not determine how they eat all the time. Here’s a comparison for you – when you go to the doctor, he/she spends all of maybe five minutes with you, yet seems to think they can conclude what you must be like. Nothing irritates me more than people making snap judgments based off of a single visit or in the case of IG, a single photo. I’ve had family members comment or criticize the way we eat….the most recent one being that we eat too many carbs. Those who have made comments are the ones who DO NOT see us on a regular basis – maybe every few months. Aaaaaahhhh, gotta love people who feel the need to comment, while they’re not perfect – NO ONE IS. Here is what I have to say about diet and lifestyle – What it comes down to is listening to YOUR body and what feels right to YOU. This goes for everyone, not just the vegans out there. Get all the opinions of others out of your head and go with your heart. The reason why there are so many different diets and lifestyles is because one specific lifestyle is not designed to work for everyone. I’ve tried several (fully raw, raw till 4, low-fat, oil-free) and coming from someone who once struggled with anorexia, I have found that when I’m not consumed by the amount of calories and fat, I do better. I feel better. My life used to be all about the numbers and I feared carbs and fat. Letting go of fears and focusing on health and happiness is what matters to me. After reading The Starch Solution (which is amazing, by the way), we drastically reduced our use of oil in our diet. I even went so far as to eliminating it for several weeks, but restricting myself like that brought back the fears I had during my eating disorder days. I began to literally fear oil, fear the fat. I immediately knew that I could no longer follow a 100% oil-free diet – for my own health and sanity. Sadly, I have seen many IG users criticizing one another for using oil and just like with any dietary choice, I say, “listen to YOUR body.” I have personally found the path that works best for ME and it does not involve following one specific “diet” or method. I simply listen to my body each day and within reason, I allow myself to follow the cravings and I no longer feel deprived or afraid. During the colder months, I just can’t drink smoothies first thing in the morning every day and according to my Ayurvedic body type, I should be eating more warming foods. When I actually stick with that, I find that my body actually thrives. I’ll never forget when I posted a bowl of oats as opposed to a raw smoothie and not only did I lose a bunch of followers on IG, but someone even commented, saying that they thought I was raw till 4, so she had to “unfollow.” If my body is calling for fat, I’ll grab a small handful of raw almonds or cashews…I’ve also been known to eat a spoonful of peanut butter and be satisfied. There are days when my body craves nothing but raw fruits and veggies – being in tune with my body has created a sense of peace and also a healthy system. I have to also mention that I have several friends, even best friends, who do not follow a plant-based vegan lifestyle. I follow more than just vegans on Instagram – oh, the horror 😉 They do their thing and I do mine – our friendships are built on mutual respect and love…we can look past our dietary choices. I believe in the gentle approach and never preach or pressure someone to follow my lifestyle. If they ask for my thoughts, I share them – I never throw out unwanted “advice” and I certainly do not criticize. Do I wish that we all could be vegan? Of course! But I also believe that we all need to come to conclusions or decisions on our own – we need to do what feels right in our hearts and minds. Never do something because someone told you to. I have noticed that by taking the gentle route, people are more inclined to want to learn more – they see how you’ve benefited from a healthy lifestyle and they may begin to look deeper within and see that the ailments they’re struggling with could possibly be healed by some changes. Lead by example, not by shoving opinions in the face of someone who might be different from you. Rather than coming off as an elitist, just accept that not everyone can or desires to follow in your footsteps. We all were once in the “dark” and might have eaten poorly or lived an unhealthy lifestyle. With time, patience, education and an open mind comes new perspectives. I was once clueless on the organic* way of life (just like I was with what it meant to be vegan), but doing my own research and learning the dangers of eating certain conventional foods, I quickly changed my ways. It saddens me when I see people commenting on posts in regards to an organic and/or vegan lifestyle – saying, “must be nice to have all that money” or “I can’t believe you didn’t buy that organic.” Yes, our way of life might cost more than some, but we’re saving in medical bills and putting the money towards prevention. We are a one income family who chooses to spend money on healthier food options as opposed to materialistic things, such as name brand clothes or a new car. This does not mean that I judge those who lead a conventional lifestyle because, like I said, I used to be that person. Before you leave a comment on someone’s post, keep in mind that maybe they’re doing the best they can with what they have. Some people are on a fixed income or maybe they don’t have the resources like you might have. Speaking of elitist, I have also been “accused” of being just that. I have received personal messages and/or comments on posts about my gluten-free and soy-free diet. This goes back to people making snap judgments. For those who may not know my full story, or if you’re new to my blog, I am gluten-free and soy-free because I have to be. I was so sick with a long list of ailments and through allergy testing, along with my own research, I learned that everything was linked to gluten and soy. I admit, I did read The Whole Soy Story** (about six years ago) to help me with the soy conclusion and would honestly avoid soy even if I didn’t have issues with it, BUT I DO NOT judge those who do consume it. I do not think that I am better than those who have soy in their diet. Heck, I ate tofu, tempeh, soy yogurt and various other soy products very regularly – it was my protein of choice at the time. My dietary choices work for ME. 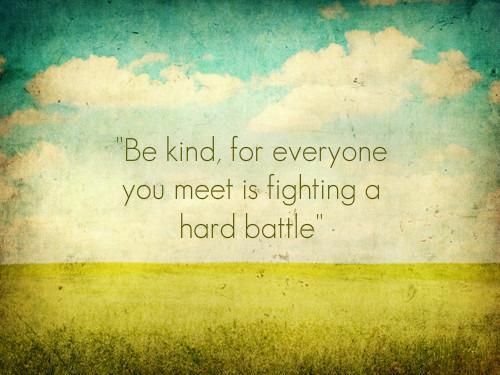 I realize that I may have rambled on a good bit, but I’m just shocked at how people have been treating one another. 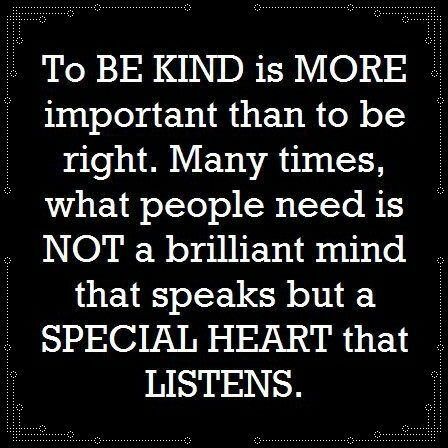 Being kind is more important than being right. What I’ve been seeing lately is pretty much bullying. We never know a person’s full story – why they are the way they are. 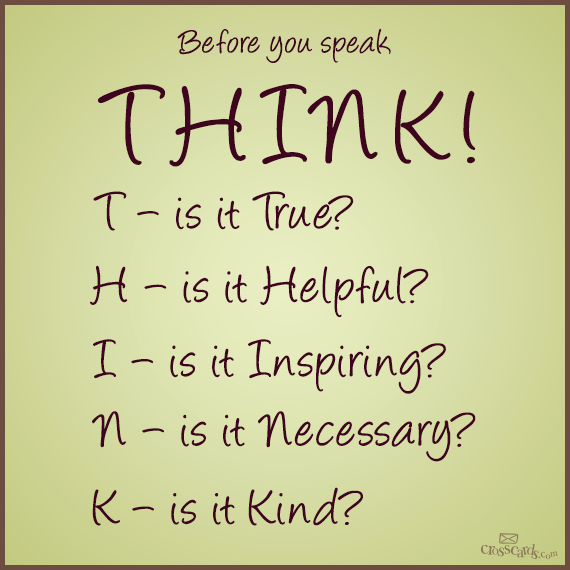 Choose your words wisely and if you feel the need to “call someone out” either send them a personal message or phrase your thoughts in a way that isn’t attacking or hurtful. An even better approach is if you don’t agree or like what you’ve seen, scroll past or unfollow the person. We are all human beings with feelings, so please remember that. Sometimes all we need is a little support and encouragement. Also, do YOUR OWN research, play around with different foods and then decide what works best for YOU. Most importantly, listen to YOUR body – if you’re struggling with headaches, bloating, heartburn, constipation, chronic fatigue, stomach pains, constant colds, and even some cases of depression, please know that you do not have to live like that. Your body is telling you something. It’s telling you to make some changes. Oh Mandy, how much do I agree with you on all of this! I am so fed up with hearing from people that say “wow, that is a lot of calories” or “wow, that’s how many carbs?” I just have to laugh, because first, I DON’T count calories and 2nd, carbs are what are body NEEDS and thrives on and it’s all about eating the right foods. I ONLY include nutrition stats on my recipes for the benefit of my readers, but I personally don’t count them whatsoever what I eat on a day-to-day basis. The biggest thing I have learned this past year when it comes to food is that too many people focus on calories or carbs or protein instead of focusing on the actual nutrients of a food. If you are focused on the one macronutrient all the time, then it clouds your judgement of what health truly is. Eating a variety of whole foods will take care of your body, period. I just eat now, I don’t even think about the protein being high or whatever. I stick with very low fat for the majority of my food and save the fat for the desserts/indulgences because they just taste better and I want to actually enjoy my food, lol! I personally really try to watch my fat intake because just like you, I have learned so much from Dr. McDougall and the Starch Solution and I want good cholesterol and for my family, but obsessing over it is not wise and too stressful. I know what foods have fat in them and try to just be wise and use common sense. I’m so sorry people have been so rude to you. 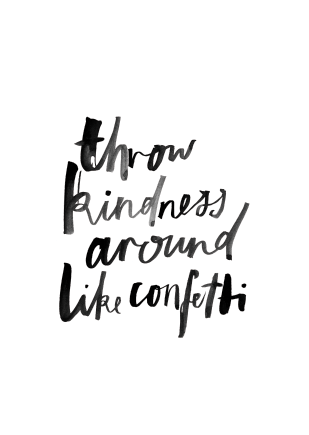 You deserve nothing but complete kindness. I had a girl just yesterday leave a really nasty comment on one of my pins on Pinterest…in the past I would have responded, but instead I decided she wasn’t even worth my time, so i just ignored it, then today another girl left a really nice comment, so I responded to her thanking her for her kindess….in other words, the rude girl will be convicted…hopefully now seeing both of our comments. Oh and regarding IG, I personally have taken almost a week off not posting because I, too, just needed a break. Some people on IG I feel are just competing with each other or about just numbers and I just needed a break from it all. Love you Mandy! Yess!! I love this post. It’s so disheartening when people tear each other down, instead of lifting each other up. We’re all on different paths in our journey and that’s perfectly OK! !